Three years. Three long years since the first whispers of Nintendo’s “Project Revolution”. Slowly the trickles of information began to surface about this console which would – if Nintendo were to be believed – change the way we play games forever. Just as it had done with the DS handheld console, the big N was promising to satisfy core gamers, gamers who no longer play and even – the holy grail of all console manufacturers marketing demographics – those who had never played a video game. Nintendogs, Brain Training and 42 All Time Classics have proven that this business model can succeed in the handheld market, however with both Microsoft and Sony’s power houses of the next generation using high definition visuals and incredibly powerful processors to up the ante of what is expected of new home consoles, can Nintendo really win the next gen console battle with an updated Gamecube and a new control method? Well, it’s here. After the long agonising wait December 8th 2006 finally arrived with Nintendo`s revolution now named Wii. After it’s mistakes with Gamecube (seriously, purple? Why does my console have a handle? Etc.) Nintendo has pulled out all the stops to make this the sleekest, sexiest and down right coolest console available. Clearly following Apple’s lead in it’s i-Pod design, as soon as you open Nintendo’s new box you know you’re experiencing something special with little blue drawers sliding open to reveal the console itself and various wires and peripherals; the most important of which is the Wii-rem. While it’s rivals are busy showing off shiny graphics and slugging it out in a Neanderthal match of strength of how many billion mip-mapped polygons can be thrown around on screen, Nintendo are offering gamers a new way to play and it’s all down to the wireless Wii-remote (or Wiimote). Using an infra-red sensor bar placed above or below your TV screen, the Wiimote allows precision pointing and targeting, measuring depth and tilt as well as a specific point on screen. But more importantly, this new style controller, which looks just like a TV remote, has accelerometers and gyros hidden within its tiny light weight proportions. Basically, this means that which ever way you move the controller in free space, the Wii knows about it. So, for tennis games the remote becomes the racquet, driving games it’s your steering wheel, shooting games it’s your gun and so on. The possibilities for the Wiimote seem endless and are very exciting. Upon first booting up the system you are presented with the Wii Channels menu. This user interface is designed to be simple and intuitive for gamers and non-gamers alike and succeeds in a stylish, crisp manner that perfectly matches the console itself. The pointer is used to select one of a series of channels each one performing a different function. The main channel you’re going to be using is the Disc Channel. Put a Wii or Gamecube disc in the drive and select this channel to play it. Simple. Other channels available at launch are the Mii Channel which allows you to design your own characters for use in certain titles such as Wii sports, the Photo Channel where you can upload your photos from an SD card and manipulate them or send them to other Wii users and the Wii Shop Channel which is one of the tools Nintendo is using to win over one of the key demographics – those people who used to play but don’t anymore. Once connected wirelessly to the internet the Wii Shop channel can be accessed allowing you to download classic titles from consoles of yesteryear in exchange for Wii Points. These points can be purchased via credit card through the channel itself, or bought on a pre-paid card from your local games shop. Games downloaded are then available as a channel on the main Wii Channels screen to play whenever you like. As well as titles from Nintendo’s back catalogue of NES, SNES and N64, games from Sega’s Megadrive and the Turbo Grafix 16 (PC Engine) are also available. While there are only a handful of titles ready for launch, Nintendo promise us new titles every Friday so it’s worth checking regularly for your favourite retro-classics to appear. Downloading is a quick and easy experience; it took me less than five minutes to have both the original Legend Of Zelda and Sonic The Hedgehog on my Wii Channels menu. New channels for the future include the News and Forecast Channels, which will give you live news reports and weather forecasts respectively as well as the Internet Channel which will allow web surfing on your TV using the Opera Browser interface. Obviously, a high speed internet connection is required to get the most out of the Wii Channels system, but most people have such a thing in their homes now so if you don`t, catch up! The Wii Message board allows users to leave messages for each other and can even send messages to other Wii consoles (once you’ve registered each other as friends) as well as recording how much time you’re spending using the Wii and playing individual games (revealing my shame of racking up fifteen hours of Zelda: Twighlight Princess on Decemeber 9th) so parents can keep an eye on how much the little ones are playing. 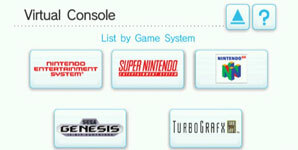 So, Nintendo’s new console looks and feels the part, but for any games console it’s all about the games themselves. At launch, Nintendo has managed to serve all three of it’s demographic aims. I, as a core gamer, am deeply happy with Zelda. I managed to get my mum to play a video game for the first time and she seemed to enjoy swinging a virtual golf club around on Wii Sports. My girlfriend who doesn’t play games any more was even encouraged to play through Sonic The Hedgehog, so in that sense Nintendo has already won, right? That remains to be seen, but it looks like we’re going to be having a hell of a lot of fun finding out and surely, that’s what counts.